OUT WITH THE OLD AND IN WITH THE OLDER! Join Lawrence and 82-year young Bernadette O'Brien for a theoretical and practical application of what it means to train "seniors" today versus just a few years ago. Teaching to this population, the "chronologically enriched," involves a new mindset and a new toolbox for today's group and personal trainers. This team--with a combined age of over 130 years--will share with you a discussion of "age," new general guidelines, and practical stories of movements, successes & inspiration that you can take to your older clients with a fresh approach. (Equipment: yoga mats if possible). Running time: 2 parts, approx. 60 minutes total. Imperfekt Productionz gives you a fusion of both the theory and practical movement that you would expect from any FG2000 team faculty member. In an effort to bring you low-cost continuing education and programs amidst a rapidly-changing environment in the world today of sky-rocketing prices of fitness dvds and downloadable workouts, Imperfekt Productionz offers you quality of content without quality of production or background music for which it costs thousands to secure rights. By keeping these production costs low, you get the same talent you would expect, without an elaborately filmed and funded Hollywood-set style dvd with all that perfect lighting, editing, chaptering, and layout. We hope you enjoy these extremely affordable productions with excellent fitness content, all at the price that’s lower than most fitness music cds! Mission: to provide recorded versions of real-time experiences of cutting-edge programs in an affordable format without an expensive fitness production; to film programs as they are actually taught without creative editing. Vision: to make the ideas of FG2000 faculty accessible and affordable; to take classes to the masses®. Review the common Sun Salutation and then learn simple, accessible forms for the Moon and Earth Salutation for making your trilogy of salutation practice complete and balance. The Moon commences standing and finishes on the floor, and the Earth takes place completely on the floor. All 3 salutations when practiced together incorporate all 3 planes of movement and provide a balanced, mindful experience. Order DVDs of Sun Salutation Trilogy and Chi Gong for Everyone together for the discounted rate of $24.99! Learn the building blocks of t’ai chi exercises that you can choose, mix, match, and reorder according to your needs, from active aging to athletes. You can practice these with varying repetitions and for various purposes. Learn some of the oldest multi-planar functional Chinese moves known to humans, now recorded for the fitness environment. Order DVDs of Chi Gong for Everyone and Sun Salutation Trilogy together for the discounted rate of $24.99! This is a run-through of the choreography on the HANDOUTS to illustrate the teaching technique, both slow and fast. Experience effective functional total body training techniques using WILL-ful and GRACE-ful strength and flexibility. Carefully selected exercises use the body as a functional, connected kinetic chain creating an adventure with only the Bender Ball, but you can add equipment. SHOW SOME SPINE: EXTEND YOURSELF! This is a run-through of the choreography on the HANDOUTS to illustrate the teaching techniques, with 15 minute sections instead of the full 20-minute sections suggested by the title, to offer instructors the ability to "milk" the sections on which they want to spend more time. Explore a non-traditional approach to a fusion workout: instead of fusing different disciplines, we have one mind/body workout maintaining faith and reverence to individual disciplines. With separate segments of yoga, Pilates, and standing Chinese mind-body work, discover different ways to link-- not combine--these popular disciplines. Join Lawrence as he brings to life the key selling points of his best-selling book, "Cream Rises: Excellence in Private and Group Education." In these 5-20 minute clips, Lawrence explains industry secrets and answers to the workbook sections of the book which will help your cueing, communication, and teaching skills rise like cream above the competition. THIS IS PART ONE OF PRACTICAL TIPS. Join Lawrence as he brings to life the key selling points of his best-selling book, "Cream Rises: Excellence in Private and Group Education." In these 5-20 minute clips, Lawrence explains industry secrets and answers to the workbook sections of the book which will help your cueing, communication, and teaching skills rise like cream above the competition. THIS IS PART TWO OF PRACTICAL TIPS. Unlock the chi potential of your body between floor-based Pilates moves fused with standing T'ai Chi movements for an undulating experience in functional training. Gain muscular strength, flexibility, balance, and gait improvement with the fusion of ancient Eastern and new Western exercsies: Our music - especially created for the class - changes from Western to Chinese in five minute segments. We know what T'ai Chi can offer the aging exerciser, but Chi Gung and T'ai Chi in their true forms are intense cross-training disciplines. Giving athletes supreme body control, cardio junkies the ability to dance mindfully while barefoot, and type "A" individuals the ability to slow down and focus. (Equipment: sound system, AV ideal but not required). Perhaps Lawrence's most popular and most moving program, this is a nonverbal, non-purist approach to Lawrence's year in music with a fusion of yoga, T'ai Chi, Feldenkrais, and Pilates, other mind-body inspirations. This is a choreographed, cardiovascular dance experience from a mind-body perspective, not only fusing different disciplines, but incorporating them into your traditional grapevines and step-touches, including dancing with your eyes closed, and entertaining your inner child, mindfully. Welcome to the next generation of step training: mind-body stepping! Award-winning master instructor Lawrence Biscontini's fusion mat program combining yoga and T'ai Chi is called "Yo-Chi"©. This unique cardiovascular workout invites you to experience an intense blend of different mind-body disciplines in "Yo-Step©." A 'makeover' promises results with some instant results and some long-term results. This approach to total body core conditioning uses minimal equipment and a unique counting system to train muscles with isometric and isotonic approaches, resulting in a total body makeover for your core, extremities, inside, and outside! No equipment. JUST B.E. : BALANCED EQUILIBRIUM with the BOSU! Experience with Lawrence innovative ways to fuse yoga, Pilates, T'ai Chi, and Feldenkrais in one flowing workout while barefoot on the BOSU Balance Trainer. All exercises come with progressions of difficulty so that students of all abilities can attend and benefit! You need a BOSU and an open mind. Running time: 1 hour. Like the Japanese "Bento Box" is a meal comprised of many small samplings of different types of tastes, this "bento box" workout fuses Yoga postures held fused with moving Pilates exercises. The effect is a 'stop and go' experience! (Equipment: yoga sticky mat optional). Join Lawrence on the beaches of Mykonos, Greece for Pilates progressions on the floor. This experience lasts about one hour and is suitable for all levels. Filmed around the island of Mykonos, Greece, Lawrence shares with you the stories of fitness and wellness wisdom gathered from many of his teachings around the world. He discusses fusion fitness, things to say to open up peoples' minds, and yoga & Pilates tidbits of valuable information. This is not a work out but a recorded DVD lecture of valuable things to say to your clients and classes. Imperfekt Productionz brings you mind-body's answer to boot-camp with an aggressive fusion of effective and intense applications from yoga, Pilates, gyrating, and T'ai Chi. Most uniquely, this uses no equipment other than an open mind and heart! Find Choreography notes under Handouts and Choreoraphy. Mind-body cardiovascular dance in the water, choreographed, sometimes with eyes closed, and always entertaining your inner child, mindfully. If you know Lawrence, you know he’s a lover and not a fighter, so "boot camp" isn’t in his repertoire. Seen at Equinox clubs, this is his mindful aquatic answer to the aquatic boot-camp craze, with an aggressive fusion of effective and intense series that all flow from Yoga to Pilates to T'ai Chi. Combine the most challenging aquatic adaptations from those disciplines with a unique format philosophy and join the aquatic Buddha Camp craze! (Equipment: gloves and/or noodles). Click here for choreography to accompany the download. Join Lawrence for kwik clips with insightful things to SAY for the fitness market with uncommon answers to common problems. Drawing from over 30 years of fitness wisdom, these pearls provide you with tools to help set you apart from others in the industry in your desire to be “cream” and untouchable. Your words set us apart, for them become our thoughts, which become our actions. Bundle all 3 of Lawrence’s new 2018 releases (Finding Things to DO, Finding Things to SAY, Finding Things to THINK) for a special savings! I understand I am purchasing an instructional training release Lawrence has created in the interest of education, so the content replicates what he teaches at professional continuing education conferences worldwide. I also understand that, to keep prices down for us and to be able to afford making multiple titles out of expensive studio work, these are releases shot outside in Puerto Rico with birds, butterflies, and occasional overhead planes. I also understand that all proceeds from these releases support the outreach work of the Sisters of Saint Joseph in Pennsylvania, feeding the homeless and hungry on the east coast as well as taking care of retiring nuns and their friends and families in their later years. Join Lawrence for kwik clips with insightful things to DO in the fitness training market with uncommon approaches to common movements like squats, lunges, quadruped positions, five unique approaches to a pushup, and even barefoot training. Drawing from over 30 years of fitness wisdom, these pearls provide you with tools to help set you apart from others in the industry in your desire to be “cream” and untouchable. Glean some NEW movement ideas! Join Lawrence for kwik clips with insightful things to THINK about to evolve our philosophy about fitness in general and expand our horizons with clients, with uncommon approaches to unhappy clients, forgiveness, achieving new levels in one’s career, self-talk before teaching and training, and even embracing change. When we change our thoughts, we change what we empower. Join Yury Rockit, Noel Chelliah, and Lawrence Biscontini, MA, as they share their top award-winning international marketing & movement tips and tricks for raising the bar of your fitness career. You will learn easy, simple-to-use techniques that you can use with clients & classes immediately from these three top fitness professionals fusing their cross-cultural expertise with you: from side burpees -- to the color to avoid wearing when you teach -- to "wild thing." Narrated by Stephen Bel Davies in a professional plethora of character-based voices. Stories of Color marks Lawrence Biscontini's first book of fiction. Written during a 12-country, 12-month sabbatical in 2015, these various short stories offer something for (almost) everyone. The common thread of the human condition among all sentient beings weaves throughout the tales; from stories narrating different types of extreme hunger (written in France), to the feelings of being outcast from school bullying (written in the Philippines), a mining disaster threatens the business dreams of an Italian immigrant (written in Puerto Rico); the frantic search for happiness in one's lifetime told in the guise of a children's tale (written in Los Angeles), the betrayal of a close friend (written in Thailand), history's most secret love-affair of all-time (written in New York); the unlikely - and sadly temporary - emotional bonding between a man and a dog (written in Italy), and an English murder mystery involving power, corruption, greed, and, of course, money (written where else, but in the United Kingdom). Who cannot relate to the common thread of emotions that connect us all on the planet-- including our search for happiness in different ways? Lawrence shares what the leaders in customer service do around the globe that is readily applicable to any role in the service industry. Drawing on the metaphor that a well-run organization is a well-run show, Lawrence gives excellent standards, checklists, and updated customer service terminology. If you or your clients still say "you're welcome" after someone says "thank you," then you definitely need this book! A wonderfully easy-to read book that answers every person's general fitness and wellness questions via every letter of the English alphabet, from A to Z. "B" stands for "breathing," "D" for "diets," "F" for "flexibility," and "W" for "water." Simplify wellness into 26 simple concepts for every-body to understand and use! 20! 20! 20! : The Complete Workout for Desperate House-lives! Lawrence gives you all aspects of fitness addressed in only one hour! With concentrated, 20-minute segments of cardio, strength, and flexibility, this fusion workout based on research maximizes results in minimal time! No equipment required! While Lawrence's book on the philosophy of travel fits under the genre of travel narrative, it also details his relationship with fitness from an overfat youth in gradeschool through the years. Everyone’s concerned with brain health these days, and many articles discuss the theoretical approaches. However, little exists for practical approaches. Drawing on cutting-edge research about neuroplasticity and neurogenesis, Lawrence implements many practical skills for both pt and group ex leaders to incorporate brain-boosting training with our current cardiovascular, strength, and flexibility training approaches. Lawrence’s second vocal CD features songs that speak significantly to him about life and love, and he now shares that joy with you electronically. Offering one song for each of the short stories in his new book, Stories of Color, this CD complements such lifelong, universal themes as adulthood, loneliness, betrayal, hidden love affairs, childhood teaching and bullying, and the human search for happiness. The sustainable, electronic downloadable package includes artwork, suggested playlist, and the musical orchestrations by Thomas Snow, leader of five CDs, lecturer of music at Bates College, and writer of the music behind Lawrence’s original piece on the CD, "One Twin Flame." For only $20, Lawrence will call a friend on his or her birthday at the # you provide (or email a permanent recording) with a personalized rendition of “Happy Birthday” including your friend’s name, and add a short personal message after the song. 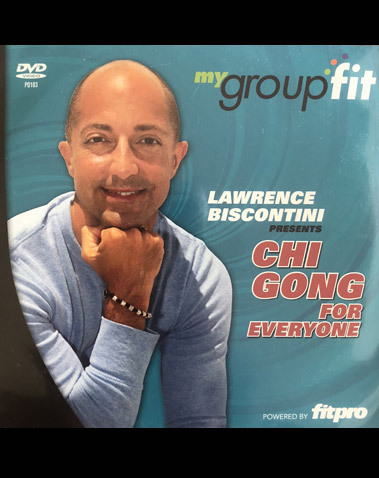 YOUR reference name if you wish Lawrence to say “_____ arranged this birthday song for you as a special treat for you to hear from me"
"When it comes to music for fitness professionals, I always choose Power Music and Click Mix to create experiences for others all over the globe." Lawrence's cookbook with international recipes over four decades in the making offers both traditional and healthy versions of breakfasts, lunches, dinners & desserts with an emphasis on one-pot meals for those with time management issues. In addition, Lawrence offers some philosophical musings on the cultures that inspired these recipes, from Bali to the Baltic. Proceeds from this book go to the kitchen for the St. Joseph Villa. This MUST-HAVE book for personal trainers and group fitness leaders details all of the fitness lessons Lawrence has ever learned in fitness, including tips from the best leaders in the industry. Make the transition from good to great, elevating your abilities as you learn what makes the cream rise to the top in a competitive economy, studying the true essence of education. The book features many interactive “TRY THIS” lessons to fuse theory with practical application. Neuroplasticity and Happiness refer to our ability to train the brain in all five major functions, to build mental muscle. Two important aspects of age include functional and psychological age, and this lecture explores how to maximize our training of the same. Uncover practical applications related to brain research. Shakti is Lawrence’s signature series created and choreographed EXCLUSIVELY for Athlie clubs in Japan for the past 10 years. Now for the FIRST time available for the rest of the world, you can obtain the Shakti bundles that have charmed the hearts of thousands of Japanese fitness enthusiasts over the years. Please note that NO written choreography notes accompany each release because the program works in Japan as a visual-only teaching strategy. You can learn the choreography from the streaming video or also just take inspiration and change it yourself. This program is taught in silence with careful visual cueing. TBM is Lawrence’s signature series created and choreographed EXCLUSIVELY for Athlie clubs in Japan for the past 5 years. 2 formats include a 30 minute and a 15 minute version of bodyweight training that uses Lawrence’s unique, research-based methodology for training our body with a Stability-Mobility-Stability approach with its unique, trademarked counting system. Now for the FIRST time available for the rest of the world, you can obtain the TBM bundles that have charmed the hearts of thousands of Japanese fitness enthusiasts over the years, giving them each week a new installment to Lawrence's Total Body Makeover format. Please note that NO written choreography notes accompany each release. You can learn the choreography from the streaming video or also just take inspiration from the unique movement progressions and regressions and change it yourself. This program is taught both verbally and visually in English. Learn exercises, sequences, drills and skills perfect for the gentle exerciser and active aging market that use the BOSU® Balance Trainer in many unique ways. Moving through many of the body's functional positions for activities of daily life, Lawrence and Bernadette demonstrate how the BOSU can provide assistance, resistance, cushioning and stimulus to amplify the impact for this important and growing market of exercisers. Help your clients build functional strength, face their fear of falling with gait training, learn various ways to get up and down, move more efficiently through the entire kinetic chain, and ultimately make all of their daily movements easier to do! This brand new BOSU® certification gives group fitness instructors and personal trainers new ways to train one of the largest growing populations -- the active aging market. Using the approaches of WHAT, WHY and HOW, you will receive research-based ideas to learn WHAT are the best exercises to teach to Active Agers, WHY certain movement patterns are important, and HOW best to implement these cutting-edge movement patterns and training techniques in group classes and personal training sessions. Understand the four types of age, and learn how to use creative games to build functional strength, face the fear of falling with gait training, practice various ways to get up and down, move more efficiently through the entire kinetic chain, train mental functions, and make daily movements easier to do! While moving through many of the body’s functional positions for activities of daily life, this certification will explore how the BOSU® Balance Trainer can provide assistance, resistance, cushioning and stimulus to amplify the effect. How you teach makes the difference in what you’re teaching. 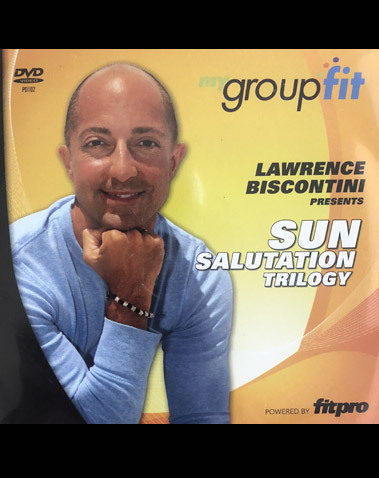 This program showcases the effective teaching and educating techniques used by Lawrence Biscontini, by explaining both the “What” and “How” of his teachings in group related programs. 7 CEUs. Lawrence's first book details a first-timer's look at healing, random exercises of qi gong and the specific, choreographed Yang Short form of T'ai Chi. Appropriate for both the fitness professional and consumer, this book explains a T'ai Chi history, purpose, and many common movements with illustrations of the author. This is available from the SCW company as a singular book or as an entire homestudy. Consult directly www.scwfitness.com for purchase of either the book or complete homestudy course. This certificate is one of the fitness industry’s most comprehensive theoretical and practical approaches to yoga, teaching a hands-on approach to different Hatha yoga postures suitable for varying clientele. Research, postures, program design and cueing techniques will be addressed so that participants will leave qualified to lead a successful yoga class or passionate yoga-inspired cool down. Learn all you need to conduct safe and effective group fitness classes. Inquire here to purchase just the manual or for details to bring the entire GFIT Certification to a club near YOU. A portion of the proceeds from the online sale of our products will be donated to one of Lawrence’s chosen charities, the Villa for the Catholic Sisters of Saint Joseph. FOR SHIPPED ITEMS, ALL OF THESE GREAT PRICES INCLUDE SHIPPING TO THE ADDRESS YOU SPECIFY!